Customer Experience (CX) Part 1 – Is It Different from Customer Service? Providing exceptional and consistent client service is critical to your firm’s success, but to be a real winner, you will have to deliver an exceptional client experience (CX). With clients now in the driver’s seat and law firms aggressively competing to hold on to clients or take work away from others, we know that excellent service and delivering value have become key differentiators. 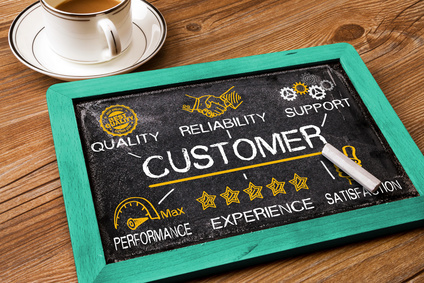 This article is the first in a series that explores the more impactful aspects of customer experience and the disciplines and frameworks required to consistently produce a great CX. How Do We Define Customer Service? Many of our prior blog posts including Romancing Your Clients at Every Turn and 25 Tips to Keep Clients Happy, Satisfied and Loyal offered tips on enhancing your service and value to clients. By its very nature, client service usually is transactional in nature in that it is measured by how responsive and helpful you have been, whether you met deadlines and adhered to budgets, or how accurate, creative or successful your advice was. Most firms now discuss ways to strengthen client relationships by thinking and reaching out to them proactively about their industries, businesses and needs, to treat each client more uniquely and to enhance efficiencies. Customer service, quality and value are key aspects of feedback firms now seek from clients to tell us how they did. What Then is Customer Experience? Adam Richardson in Understanding the Customer Experience defines customer experience as “the sum-totality of how customers engage with your company and brand, not just in a snapshot in time, but throughout the entire arc of being a customer.” Customer experience is more than the various touch points and tangible interactions clients have with your firm. It encompasses the intangible aspects that your services create: how your clients feel about your firm and your brand, what your firm stands for, the promises you make and whether or not you deliver on those. Law firm clients will evaluate their satisfaction and loyalty based on the overall customer experience – the cumulative experiences they have over multiple touch points over time. What Makes the Best Customer Service Brands the Best? Law firms too often focus primarily on the first component: “what they offer” – their services, and their technical expertise. Many are getting better at several aspects of the second area of customer experience: “how they do it,” although often fall short on the first and last bullets – they’re easy to do business with, they’re consistent. Few firms are really focusing on “the consequences” – what emotional reactions and connections clients’ have to your firm and their experience with it. Superior service leads to high satisfaction which leads to greater client loyalty. Having clients as “loyalists” who consistently advocate on your behalf is the goal every firm should have with every important client, especially since it leads to higher profitability as we noted in Are Your Clients Loyalists or Defectors? and Client Feedback = Better Revenue and Profitability. How Can Law Firms Implement a Customer Experience Process? First and foremost, firms will have to be truly committed to creating a “Customer First/Superior CX Experience” corporate attitude. This will require top leadership support since it will take time and resources and likely will result in changes to policies and normative behaviors within the firm and an openness to constructive criticism and continuous improvement. Institute formal and ongoing feedback mechanisms internally and externally to fully capture from the clients’ perspectives what you do, how you do it and how it makes them feel. Map out the customer journey at every point of interaction. Determine which aspects of the journey are most important, i.e., create the most impact overall (either negatively or positively). Break down the silos; hold a series of brainstorming sessions of cross-functional teams together to develop improvements. Build in expectations and empowerment of all employees to innovate on continuous improvement of the customer experience. Appoint a cross-functional leadership team to manage and monitor implementation of customer experience management. Our next two blog posts will take a closer look at how to map out the customer journey and how to manage the customer experience so that your firm is considered the top in its class at CX and will reap the financial benefits of achieving this.